We offer a large assortment of high quality Continuous Sealer that is manufactured from the premium quality raw materials. 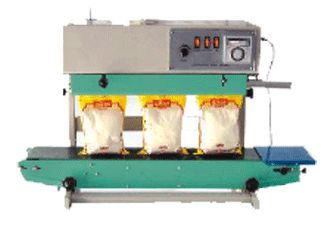 We are counted among the major Automatic Continuous Sealer Suppliers in India. Continuous Sealer Machine is ideally applicable in Automobile parts, Pharmaceutical, Food items packaging and Electrical parts. We also present highly Liquid Packing Machine and Tablet Packing Machine. Packing Material Polyetylene & any heat sealable, flexible laminated material. Sealt Type Impulse / hot bar. Conveyor can be lifted up & down as per the need.